NOTE: Unfortunately, we are not able to accommodate the public in the actual climbing exercise. Registration is not necessary, but you are welcome to claim tickets to get the e-mail notice and reminders! 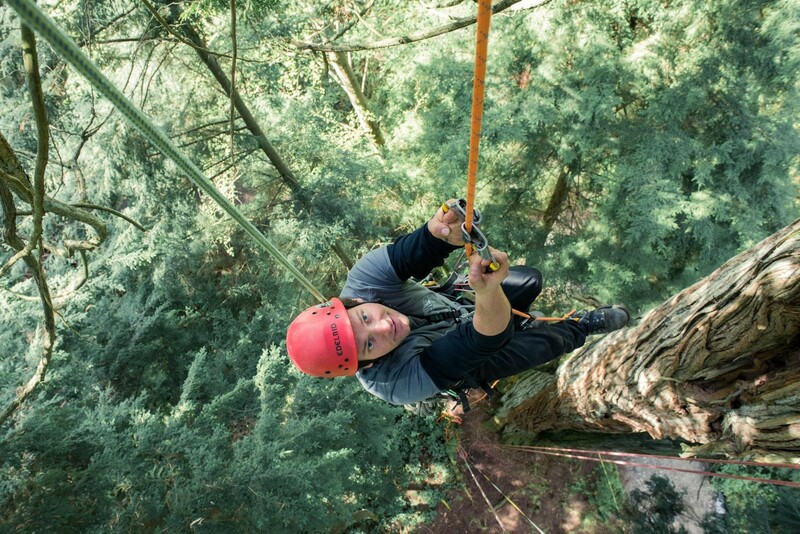 Matthew Beatty with Bartlett Tree Experts and a team of canopy technicians will be making their fourth annual ascent up some of the biggest trees in Stanley Park. While we are leaving the climbing to the experts, you may investigate the ecological systems sustained in the canopy through the samples they bring down. Using rope and ecologically sensitive climbing techniques, Matthew will explore and expose the importance of the biologically rich and stable micro-environments of these big trees.